Today, team Indian once again faced the hosts New Zealand in the second leg of the Four Nations Invitational Tournament. And the result was once again in India’s favor as they dominated the New Zealanders by a score of 3-2. However, the hosts came pretty close this time than the previous match. 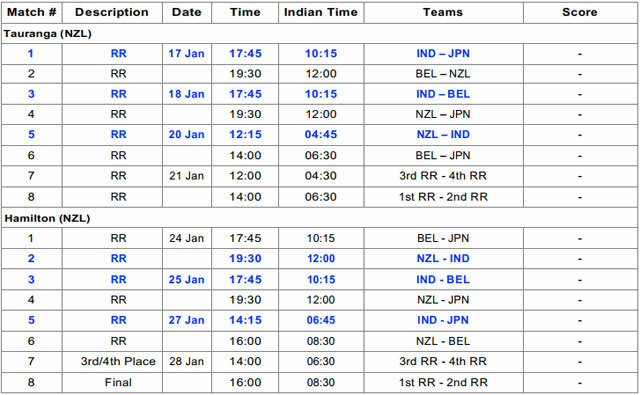 India got off to a good start with a 6-0 win against Japan but lost 0-2 to Belgium in the following match. Unfortunately, they failed to put a good end to their first first-leg final and once again suffered a loss to Belgium 1-2. The second leg of the invitational tournament in Hamilton kicked off with a great start for the Indian side as Manpreet Singh led squad clinched their first win of the second leg in the second encounter against the hosts. Today’s match saw an exciting start for the Indian side as they kept more possession since the very first minute and registered their first goal seven minutes into the game. Indian halfback Lalit Upadhyay netted the first goal for the Indian side after which the Indian Hockey team started counter-attacking at every opportunity. The aggressive strategy was paying off well for India but not for too long as New Zealand finally made a breakthrough after a quick counter-attack in the second quarter. Daniel Harris leveled the score for the BlackSticks. India once again get into the lead as Harjeet Singh converts the Penalty Corner into their second goal. The goal came in the second quarter of the game and gave India a much need confidence to dominate the opponent. Even more, has to come for the Indian side as the pivotal advantage of being in the lead was boosting their confidence all throughout the game. 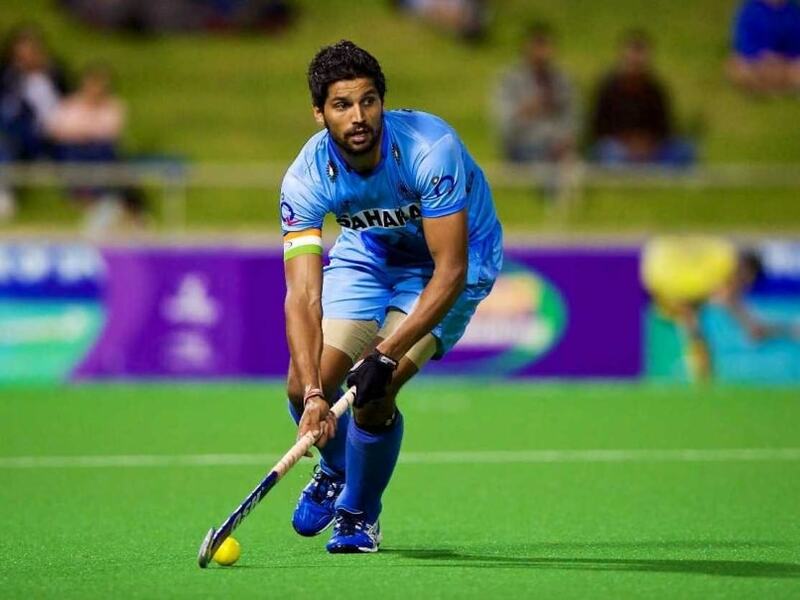 In the 36th minute, India’s drag-flicker, Rupinder Singh converted India’s second Penalty Corner of the game into a goal. The fullback of Indian Hockey Team gave India their much-needed breathing space (3-1) with a 2 goal lead. However, New Zealand wasn’t giving up easily this time as the very next minute, they knocked a fierce smash into the nets to convert their PC into a second goal and changing the scoreboard to 3-2. India maintained a firm grip in the subsequent quarters and kept on playing an aggressive game. The collective efforts eventually paid off with a sugary victory by a margin of one goal. The Indian Hockey Team maintains their composure to clinch a triumph over New Zealand 3-2 in the first match of the second leg of the Four Nations Invitational Tournament. Champions League: Who made it to the Semi Finals?